As it is coming up to the school holidays a lot of families will be looking to get away on holiday, whether that be a little time off work for the parents or a break whilst there is no school. One of the common problems faced when going away, after everything is booked, is the act of changing currency, from pounds sterling to the currency of the destination in which you are headed. It is often advised that searching on the web for the exchange rate would be useful when considering changing currency, however, whilst most will give you a figure you do have to be careful when exchanging money. 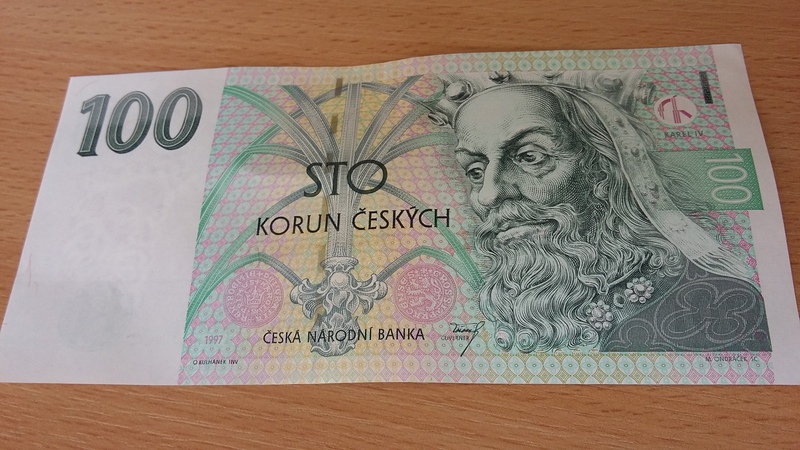 A few days ago I was visiting Prague for the weekend and faced the same issue, where to get my currency changed and how to make sure I didn’t get ripped off. Fortunately, I did my homework when it came to the exchange rates when it came to exchanging pound sterling to the Czech Koruna, however the same cannot be said about a Korean woman who I met whilst on holiday. She exchanged South Korean Won to Czech Koruna but hadn’t done any done the Maths around the exchange rates. The amount she wanted to change should have amounted to 26,000 Czech Koruna, which, was a fairly reasonable exchange rate. However, when asked by the cashier to sign the document explaining the exchanging of currency she failed to acknowledge that they take a 20% commission for the transaction for the privilege of exchanging the money. 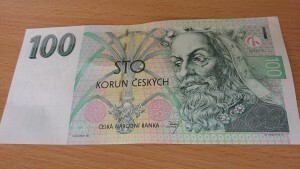 That left the poor woman with 21,000 Czech Koruna, a full 5,000 short of what she was expecting because she didn’t read the contract or rules that may have applied when exchanging the money, the 5,000 works at around a £150. The moral of the story is to plan and research the exchange rate and search for the best rate among the many companies who offer the service. It is often best to avoid places like the post-office as the rate will be slightly lower than other places. Large supermarket chains such as Tesco’s and Asda offer a slightly greater rate but still not the maximum amount you could get for your money. It is perhaps best to go to small stores which offer a good amount before you go and just exchange an amount which is sufficient for you to get to your destination and then go to a store in the county of your holiday and try and exchange the rest of the money you want exchanging for your trip. That is the best way to ensure that you have the best possible opportunity to make the most of the money that you want exchanging as they have the best local rates in many of the smaller stores scattered around the cities. If you have had the holiday planned for a long time it is best to keep an eye out for the exchange rates as the rates often fluctuate a good amount on a day to day basis. Search for the best possible rate and the worst and look to the exchange rates to compare when you think you may have a good rate to exchange money. Sometimes it is best to exchange your money earlier whilst the exchange rate is strong rather than leaving it last minute when you may miss out on a bit of money as the rate may have fluctuated downwards leaving you with less value for money. From the example you can clearly see the difference in makes from the table above to select the correct place to exchange money. What I did was exchange £100 beforehand when I was in London just so that I had enough money to get me from the airport to the hotel and then I shopped around in Prague (Prague 1 being the best option), always doing the maths myself first to ensure that I wasn’t being scammed. The rate of Prague 3 was the Korean Woman that got scammed but if you look closely, the rate you get at the airport is far worse than the rate she got. She lost out on the equivalent of £158, whereas at the airport you would’ve lost out on £273. Keep this in mind before you go on holiday, it could save you hundreds of pounds!